Investors big and small have been reminded once again that Wall Street is a tough neighborhood. Regulators are scrambling to sort out what happened to cause the sudden plunge in stock prices Thursday, when worries about spreading credit problems in Europe gave way to rapid-fire selling by computers. As the Dow Jones Industrial Average fell another 140 points Friday and wiped all of 2010 gains, financial advisers are fielding a flood of calls from concerned, confused clients. "They're already fragile at the moment, with Greece, Goldman, the oil spill. There's a sense that the people who are supposed to take care of us aren't taking care of us," said Greg Ghodsi of 360 Wealth Management Group, an independent broker affiliated with Raymond James Financial Inc.
"Retail investors have not really come back into the market. This will cause them to stay out for longer," added Ghodsi, who helps manage $500 million. Financial advisers said the stunning free-fall in shares and ETFs, which pushed some shares into penny stock territory, happened just a many investors were getting over losses in 2008 and preparing to shift assets from money markets and bond funds into stocks. "They start to put their toe back in the water and then this happens," Ghodsi said. Advising individual investors on how to respond to this week's downturn will be a big challenge for wealth managers. Some firms have been nudging clients out of equities, uneasy that share prices during the recent market rally outpaced earnings and the economic outlook. Robert Balentine, chief executive of Balentine LLC and the former head of Wilmington Trust's wealth management unit, said his $500 million Atlanta firm moved clients out of riskier equities and will discuss the pros and cons of gold next week. David Beahm, vice president of marketing at Blanchard & Co, a top U.S. retail precious metal coins dealer, said many investors have already made the move to precious metals. "Yesterday was our biggest day of the year in terms of investors buying gold," Beahm said. "There is no question that the meltdown in the paper assets yesterday was a huge case for diversification." The SPDR Gold Trust ETF, which issues shares and purchases physical gold, reported its biggest one-day rise in tonnage since February 2009. Most advisers, who insist their clients are keeping a long-range view, though viewed the meltdown as a chance to go on offense. David Cottam of National Wealth Management in Morristown, New Jersey, said his firm bought Apple stock at between $235 and $240 a share, only to watch the computer maker's stock drop to $200 within a few minutes before bouncing back. "In those five minutes we had no idea what was going on. At the same time we were seeing the riots in Greece on TV. It was a scary time," Cottam said. These scary and uncertain trading sessions were also the latest in a frequent series of so-called unusual activity. 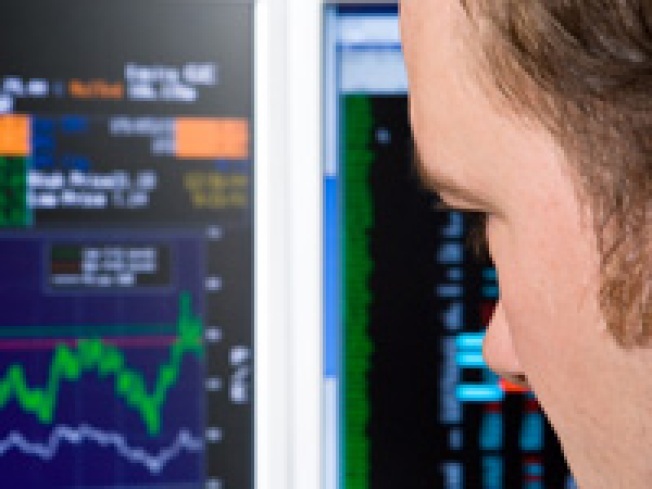 Some advisers allowed that clients may turn away from stocks entirely. "Yesterday created a lack of confidence," he said. Ori Pagovich of New York advisory firm Gotham Financial Services, said his clients were "dumbfounded" by Thursday's events, but so far have remained resilient. "People are looking at an opportunity to buy right now. We're in the midst of a correction, about half way through," Pagovich said. "Will it be a repeat of 2008? Probably not. The underlying concerns are being addressed more quickly." As the dust settles, Pagovich said he will encourage clients to buy European stocks. He also is recommending that investors hold on to stocks, although several clients have been calling in, still sore from 2008 and worried that, if they do not sell, they risk watching the market collapse. "Clients are stressed," said Jack Ablin, chief investment officer at Harris Private Bank, who hosted a conference call with 1,000 very wealthy clients. The downturn "has the potential to shatter confidence in the equity markets, he said, noting how even sophisticated investors were caught off guard by bearish sentiment turbocharged by a technical glitch. At the same time, he said clients on the call appeared to keep their cool. "People are looking for opportunities rather than bomb shelters," he added.